Istanbul’s Pera Palas Hotel, a favorite haunt of the rich and famous, had a very special place in the life of best-selling author Agatha Christie. She stayed in the hotel many times between 1926 and 1932, and one of her best-known stories, Orient Express, was written there. Warner Brothers took the unusual course of contacting the famous Hollywood medium and clairvoyant, Tamara Rand, to see if she could get in touch Christie’s spirit through a séance. 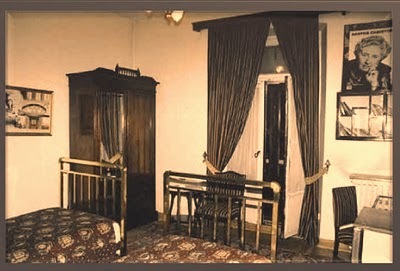 Contact was made, it was claimed, with Christie’s spirit, which indicated that the key to the box containing her missing diary - the diary which would solve the mystery - was in room 411 at Pera Palas Hotel in Istanbul. The news exploded like a bomb in the world press. The Turkish press and foreign journalists went to Pera Palas, room 411, on March 7, 1979. A telephone connection with Los Angeles was established and under the direction of Tamara Rand, the floor of the room was taken to pieces, everything being shown by satellite on American television. At the point where the wall joined the floor, right by the door, a rusty, eight centimeter-long key was found. Tamara Rand said that, after she went into a trans, she began to write in a language she did not know. The words she wrote were the name of a street in İstanbul and the name of a hotel on that street. Afterwards she saw the hotel and Agatha Christie. Agatha was in room 411 and was hiding the key to her diary under the floorboards. 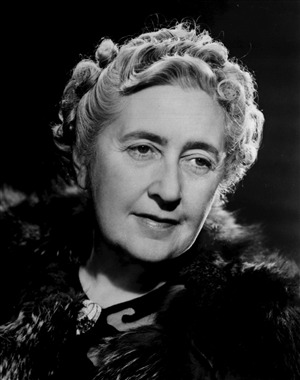 To summarize her comments, Rand claimed Agatha Christie let her know that the key was hidden in a hotel room in Istanbul. She even scribbled Agatha’s own handwriting during her trans. She had a vision of Agatha Christie walking along a paved street and read the sign Mesrutiyet Caddesi. Then she saw Christie getting into a building called Pera Palas going up into room 411. Once she closed the door, she hid a large key beneath the floorboards. In January 1986, a second key numbered 411 was found in the Pera Palas Hotel, this time in room 511, and the mystery, some say, took on a new dimension.